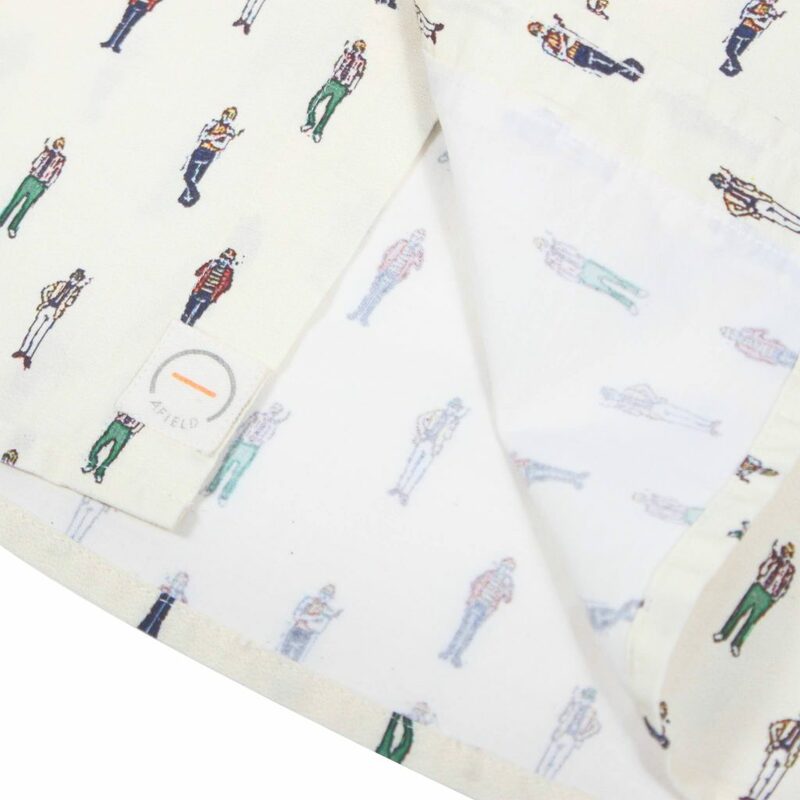 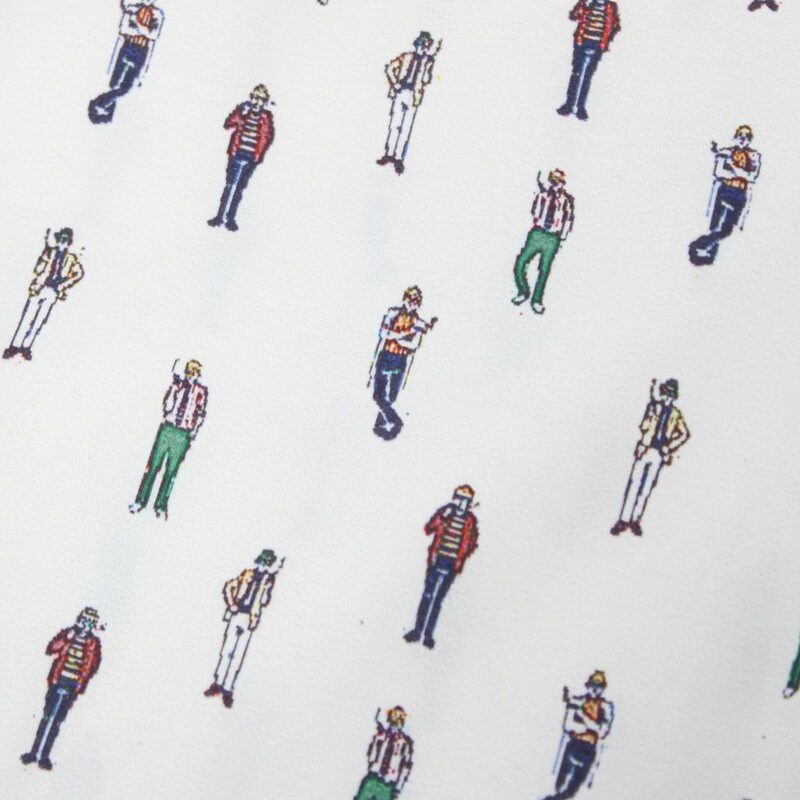 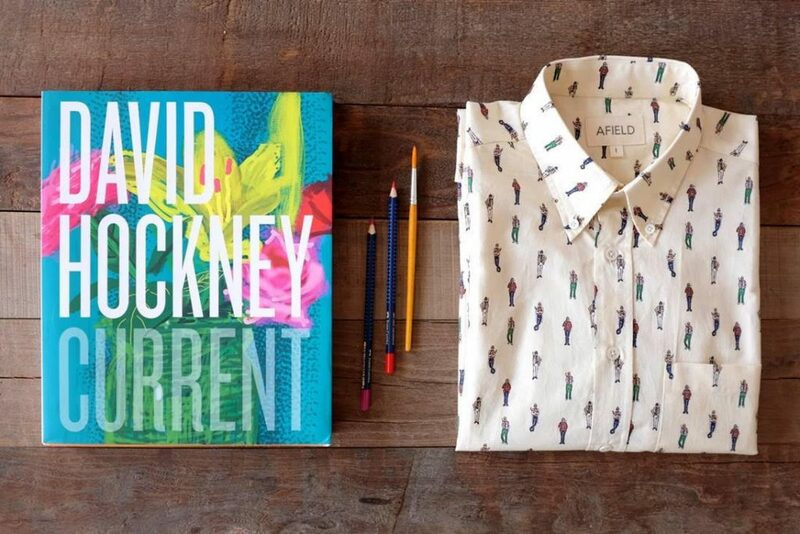 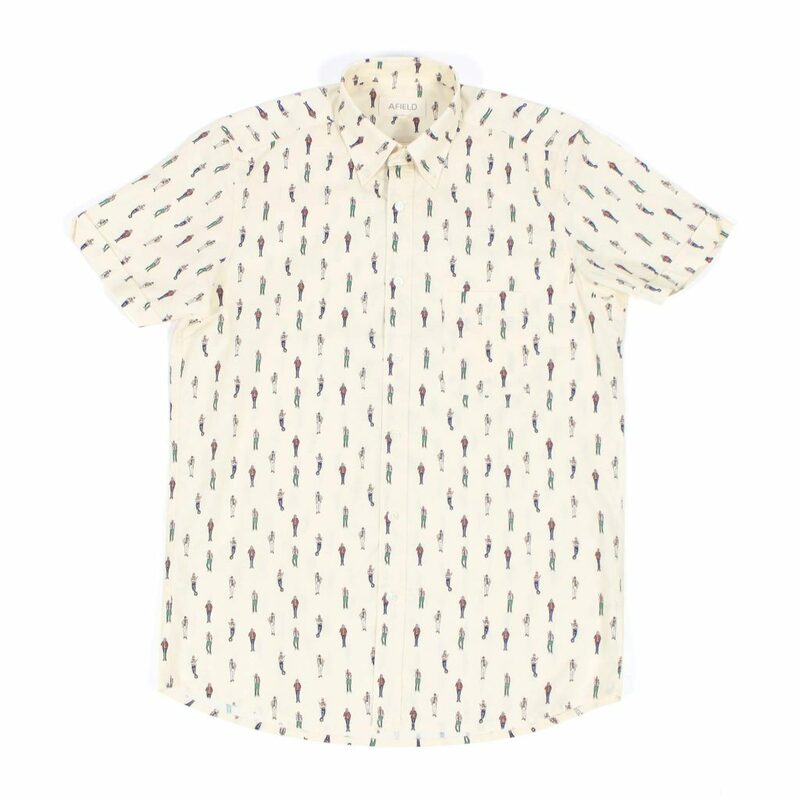 There’s only one thing cooler than a David Hockney painting and that’s a short sleeved shirt featuring illustrations of David Hockney in various different outfits. 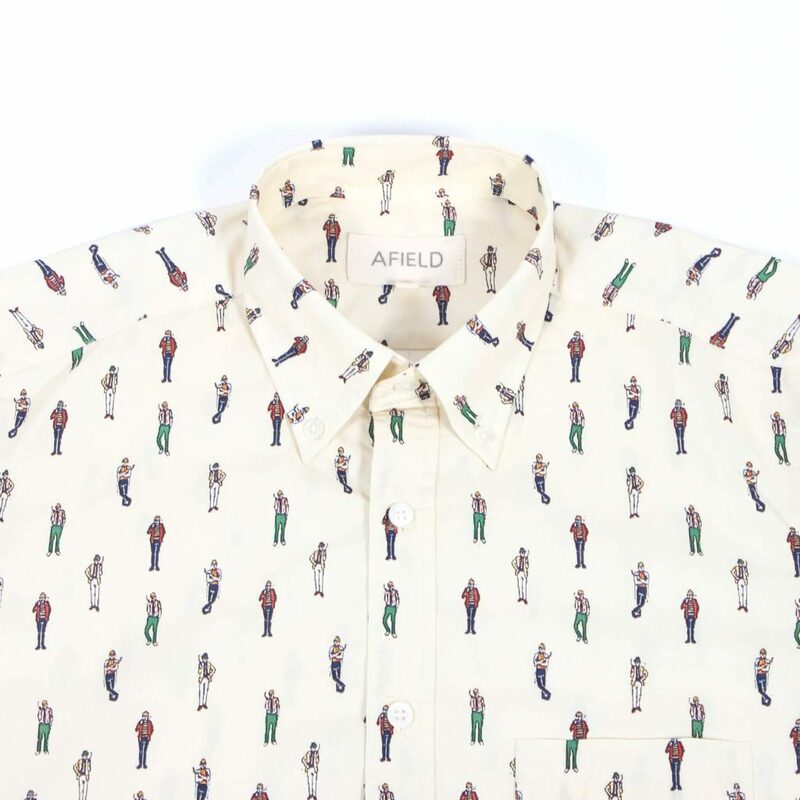 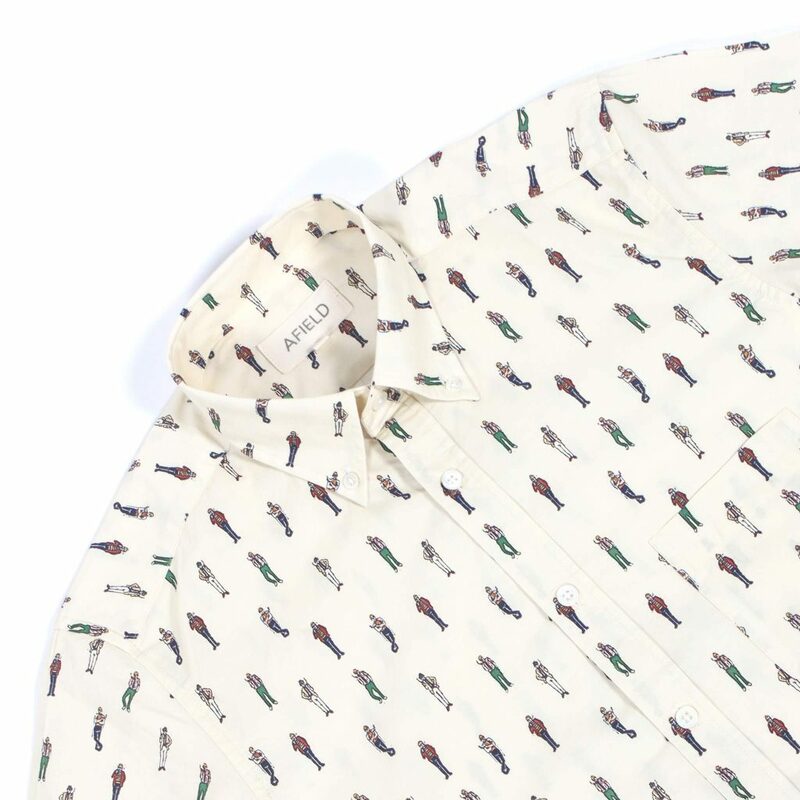 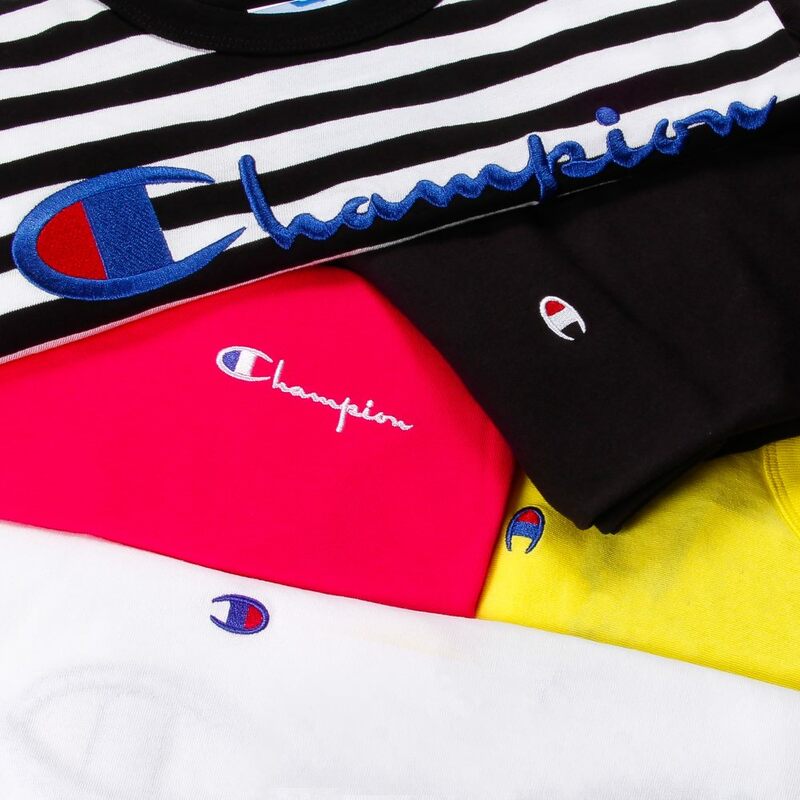 A long time inspiration to the designers at Afield they’ve decided to pay the ultimate tribute to the crown prince of Pop Art by immortalising him in mid-weight, off white, 100% cotton, button-down, curved hem, modernist shirt form. 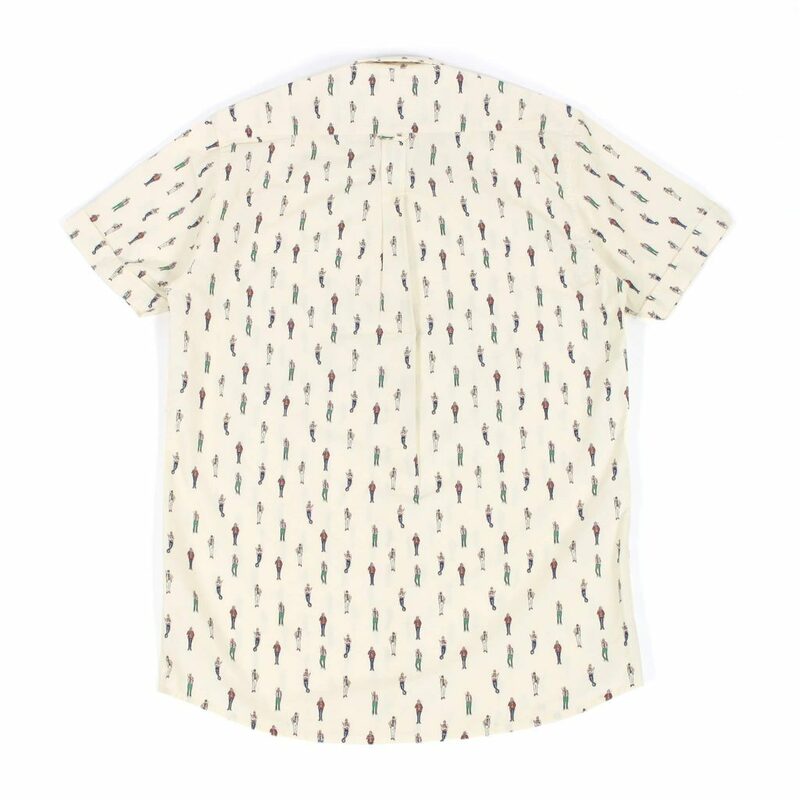 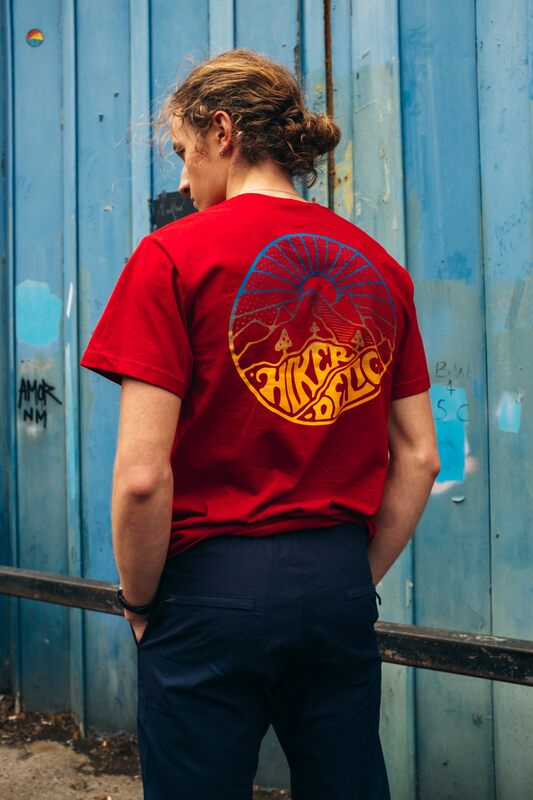 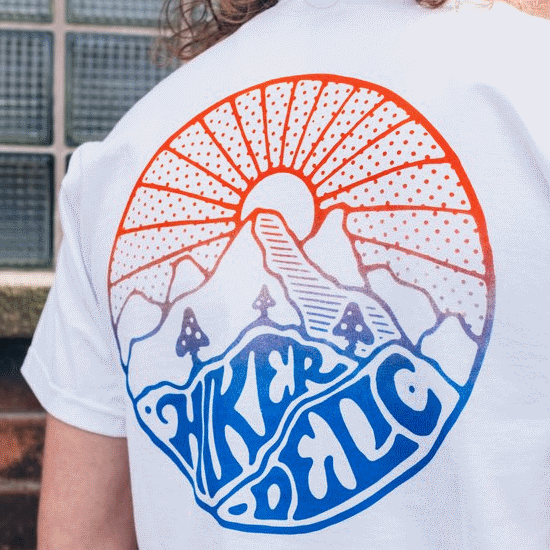 Just the kind of top for schmoozing round Saltaire, a big night out in Bradford or a knees-up in Nichols Canyon.